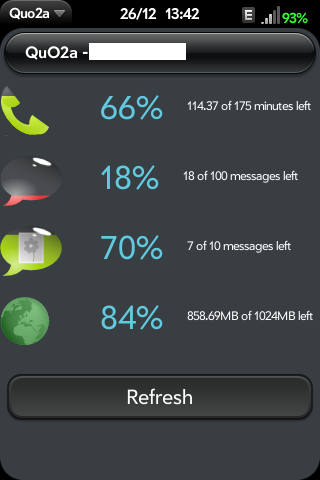 QuO2a is a small app that shows your O2 quota usage statistics. It does this by pulling the information from the O2 website and presenting it in an easy to understand way. Only works on the Irish O2 website at present. If you haven't an Irish O2 account, you're out of luck at present. I'm willing to extend it if there's interest.